Baking Tray (Non-Stick) is rated 3.8 out of 5 by 4. 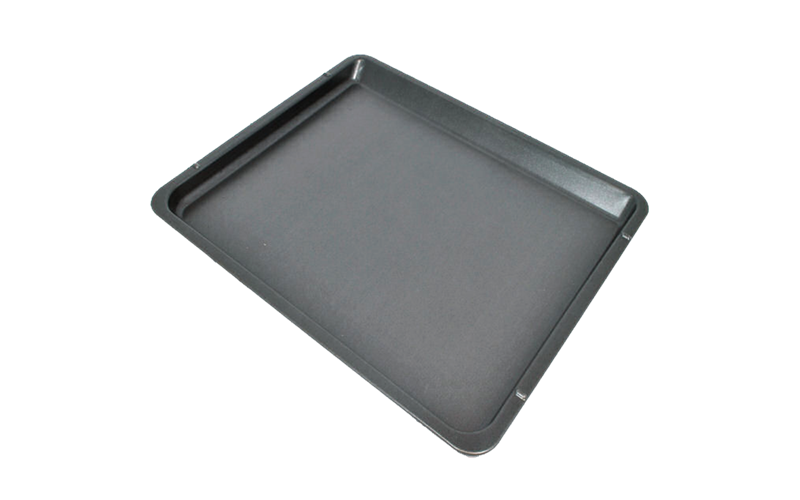 Non-Stick Baking Tray designed for AEG Ovens. Rated 2 out of 5 by yesplease72 from Trays Peeling After having our oven for about 2 years, suddenly the coating on the trays started to peel off. Given we bought 2 ovens and spent many thousands of dollars, one would have thought they’d last a lot longer, given that we’re not particularly regular users of the oven. Really, really disappointed and annoyed that I have to now buy more trays, and I assume they’ll be terrible quality and peel too. Unimpressed. Rated 3 out of 5 by Shortty from Great but peeling already I bought my oven with this tray 2 years ago. For the first 18 months was used every day roasting vegetables for a vegetarian . The 6 months only use 2-4 times a week. Both trays in my oven are already peeling. This oven cost $3000 so I would expect that the trays should last longer than 2 years. Rated 5 out of 5 by Jen911 from Great non-stick pan. Easy to clean. A great non-stick pan that is very easy to use and wash. A great size that holds plenty of food needed to be cooked e.g. roast potatoes etc. Rated 5 out of 5 by Cocomoco from Good quality I want some more of these baking trays. So good for non stick surface . Love cooking the baked veges .. Nice size for feeding a big crowd .. I've had some delightful dinner parties . Also just did a batch of scones , cooked 20 large scones to perfection . How can I get some more trays please ?